I have returned from the World Championships in Prague this September and now my 2013 competition season has come to a close. I have looked back to reflect on my experience throughout the whole year. I found myself wondering, "What were my greatest accomplishments in 2013?" When answering this question it was obvious, my paddling results were stronger in the competitions in North America where I found myself on the podium at every event. 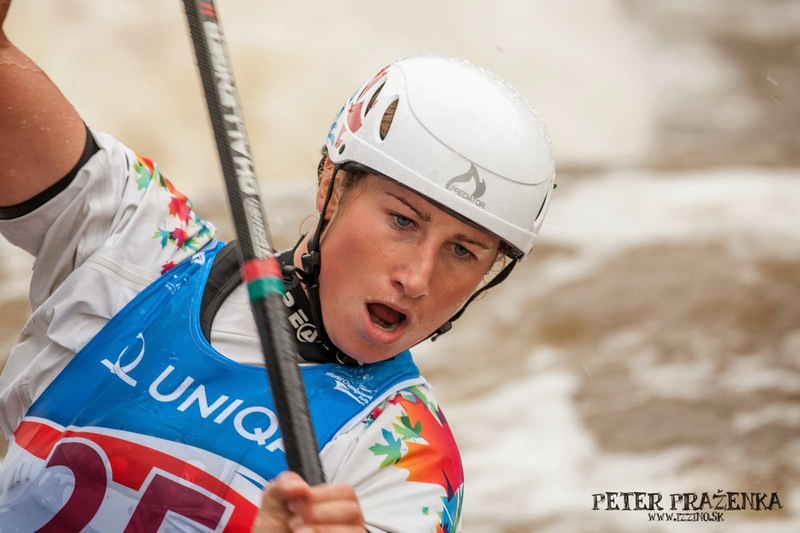 Another highlight came when Canoe Kayak Canada announced I was the top ranked Canadian Slalom National team member according to the 2013 Canoe Slalom National Interclass Ranking. One thing I have heard consistently from my coaches is the fact I am continually improving. This year's World Cup circuit provided a progressive training ground for me. Although I fell short of my goal to break into the top ten, I did advance to the semi finals at two competitions to place 13th in World Cup 1 in Cardiff, Wales and 13th in World Cup 2 in Le Seu, Spain. Earlier this summer our sport psychologist presented a perspective that helped me to position how I approach training and competing. Instead of thinking "I HAVE to go to training" it was suggested to rephrase it as " I GET to go to training". Following that everything revved up to full speed and I had forgotten about this for most of my summer. In the thick of competitions I found myself focusing on my race results instead of paying attention to the journey. My coach reminded me before the World Championships in Prague, that "I GET to be at World Championships". After my second race I was rather disappointed with my performance and did not advance to the semi finals. With the pressure off I then had the opportunity to cheer on my team mates and decided to take in the full World Championships experience. As a spectator I watched the semi finals and finals, finding myself sitting at the edge of my seat watching individuals from many nations fight their way down the difficult course. It was truly amazing to be at this event and I could feel the energy of the crowd as we cheered for each paddler that went down the course. I observed facial expressions and body language seeing athletes show signs of triumph and defeat. Moving forward I am now back home in Calgary and I GET to start school, work, and training again. It is a whole new year that will hopefully be full of improvement, determination, and fun! Although I did not accomplish all of my goals, I achieved significant outcomes and I continue to learn what it takes to become one of the World's C1 paddlers. I want to thank everyone who has supported me this year as I could not have done it without YOU! Below I included the video summary of my race at the World Championships. My boat is pink and blue that is shown close to the beginning!